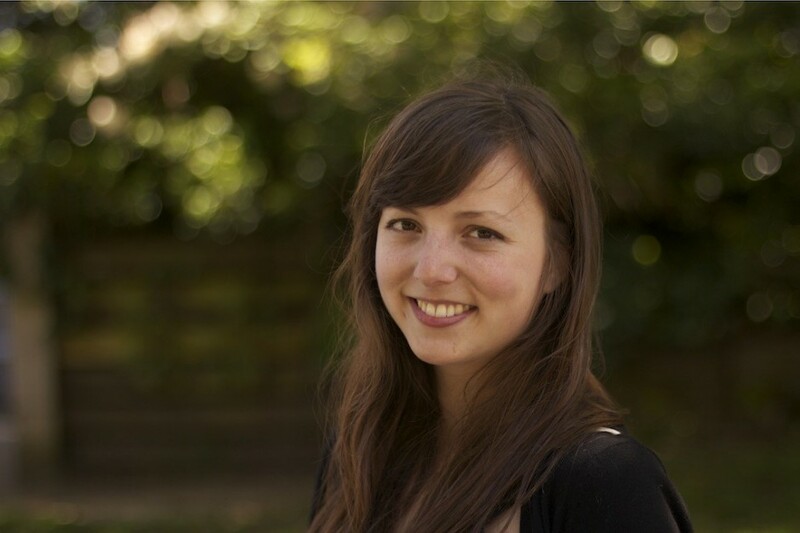 Julia joins the creative team in our video storytelling initiatives in the summer of 2013. Julia is collaborating with Katia Truong, our animation intern, to produce communication pieces for the Applied Metagenomics of the Watershed Microbiome, Next-Generation Integrated Pest Management Tools for Beekeeping and Lean Launch Pad for Genomics projects. Julia recently graduated from the UBC Film Program. She is currently writing her first feature, and is involved in the development of several performance pieces with The Human Theatre Collective. She hopes that her involvement in video production with genomics.entrepreneurship@UBC will add color to her ever-evolving artistic voice. What is your experience in film-making? This past May, I graduated from the UBC Film Production program. I have oft heard the argument that film school is not necessary to become familiar with the medium and the industry. This argument is not unfounded, and I tend to agree. But to engage in a classroom setting with other excited film makers was a great source of inspiration. I did not always feel in harmony with my classmates’ or my instructors’ approach to filmmaking, but I was permitted to deviate and have a mind of my own; an attractive freedom considering I have always felt very stubborn. Studying how others approach this visual and aural medium has steadily put into question my own motivations as a filmmaker. What is your storytelling process? I usually come up with a few images that strike me, and work back and forth between these and a more thematic, structured, idea-organizing written form. The key is to lasso the imagery with the right rope; that is, to find the most effective way of storing a transient synapse. It takes a good amount of excitement (or caffeine) to prompt a full investigation into a particular vision. Once I really start to dig into an idea, I like to give it time to mature, or to die. These days, I am really into taking my time with the ideas I care about. A story only exists in time, and so it should be given time to unfold. What part do you see art playing in communicating science? The arts make science more accessible by translating it into more relatable terms. As concepts become more complex and discrete, so does the language we use to define them. So to understand some aspect of the behaviour and structure of the natural, physical world in every detail, you must commit a great deal of patience and effort. But there are simpler degrees of understanding that can still provide a satisfying of level of comprehension. Using tools like images and metaphorical language, an otherwise intimidating subject can be understood by many. Science should not be exclusive, and art can enable accessibility. What do you think your vision offers? I tend to represent the layperson in any of our projects, since I do not have an extensive education in scientific subjects. I act as a first filter through which ideas can pass. If I don’t clearly understand something, I ask questions. When I begin to understand, I re-iterate what I’ve been told in my own terms to verify that I actually grasp what has been explained to me. Then begins a back-and-forth process between myself and a team of people, each of us coming from different backgrounds, and we all work together towards the best possible way to communicate a particular idea. Looking at an idea through a particular lens can change the way you understand it and the way you wish to re-communicate it. I tend to think visually, so I focus on the use of images, while others might concentrate more on the specific words being used in a spoken text. So it’s great to be working with a variety of people who can each offer a unique viewpoint that the other might not have considered otherwise. This multi-perspective approach is really great when the goal is to teach something complex to a multitude of people with different learning styles. What have you learned from your internship so far? I have not studied science in any formal way. This internship has provided me with encouragement to interpret complex subjects in simplified, visual analogies, so that they can be more readily accessible to a broader audience. I have really enjoyed being exposed to completely alien subject matter and I look forward to further abductions into stranger worlds. Any highlights from your internship program? I got a lovely tour of the water lab at the BC Centre for Disease Control (BCCDC) while working on the Watershed project. I am fascinated by these completely specific fields of research that I know so little about. It is beyond me that people spend their working days counting blots of E. coli on a petri dish, while I scratch my head and look for inspiration so I can be the next greatest film director. Perhaps we are not so different. Though the lab coats are a definite giveaway. And they adorn their shelves with plushy bacteria toys! What other interests do you have aside from film-making? I continue to uncover new interests that thrust my artistic motive in many opposing directions, but I maintain a vested interest in helping people. I will always learn something from every project I work on, but I strive to offer more than a record of my own catharsis. I aspire to always provide a new, relevant perspective in my work. Julia has created this promotional video for entrepreneurship@UBC’s Lean Launch Pad program. The video features UBC Engineering Physics graduates and former Lean Launch Pad participants Eric Finlay and Padli Lumsden, who talk about their experience through the program and how it helped guide their startup, Foosler.